Divorce can be a notoriously lengthy process. Despite all the asset protection laws and other aspects of Texas family law intended to streamline the process, a divorce can take months or even years to fully finalize. The divorcing couple’s shared property, separate property, assets, children, and many other factors come into play with a divorce agreement. In some cases, normally upon request of the parties, a court may give orders on issues that cannot wait until the end of the case, such as child custody and possession. In these cases, the court may issue temporary orders to immediately resolve these problems until a more comprehensive ruling is made on the divorce. If you have questions or need guidance concerning temporary orders in Austin, Texas, contact temporary orders attorney Abraham Kant today to schedule your free initial consultation. Court orders for a divorce agreement are binding and permanent (or have clearly defined time limits). Temporary orders, however, are just that: temporary. Most divorce cases will begin with temporary orders if the entire divorce will require a timeframe that won’t allow for decisions that demand immediate attention. Temporary order hearings are shorter and less formal than standard divorce hearings, but these orders are no less binding. They are simply subject to change later as the divorce proceedings continue. Deciding a child custody arrangement until the divorce proceedings finish. Whenever children are involved, the court will always strive to rule in the best interests of the children. Typically, a judge will provide orders that are minimally disruptive to the children’s normal routine. One parent may ultimately win joint custody, but temporary orders may give one spouse full custody for a short time until the divorce reaches a conclusion. Access to the family home, or sale of the home. If the divorcing couple shares a home, temporary orders may decide which spouse may remain in the home and which spouse must move to a new home. If the couple wishes to sell the home, the temporary orders may include restrictions for handling the sale. Health insurance coverage. One spouse may have his or her health insurance through the other spouse’s employer-provided health insurance plan. If so, the temporary orders may allow the spouse to continue coverage for a reasonable time until he or she can secure individual health coverage. Restraining orders. In cases involving domestic abuse or other dangerous factors, the court may temporarily place a restraining order on one spouse, preventing him or her from contacting the other. Restraining orders can also impact access to the marital home. Asset protection. Temporary orders may restrict the spouses from selling specific pieces of property or assets until the divorce finalizes. This prevents one spouse from illegally hiding or obfuscating shared property. Spousal Maintenance, or Alimony. The court may temporarily require one spouse to pay maintenance or alimony payments to the other. The final divorce agreement may have different provisions for handling alimony. These are just a few issues that temporary court orders handle. Either divorcing spouse may request temporary orders by filing the appropriate paperwork with the court and attending a temporary orders hearing. The Austin temporary order attorneys at SSJM Family Law, provide a wide range of legal services to our clients in Texas. 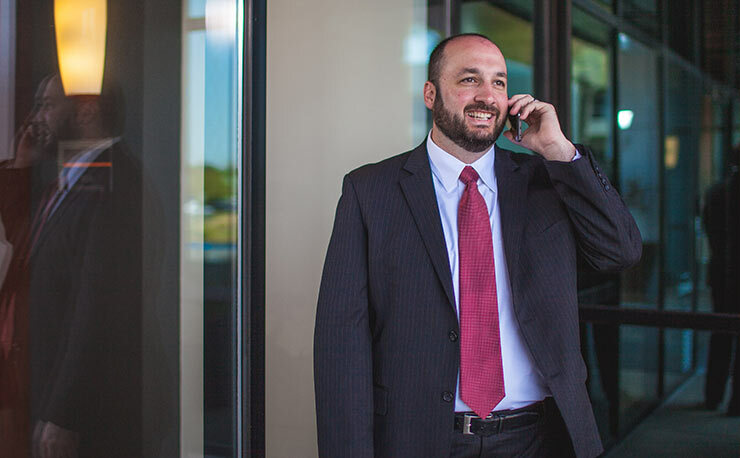 With years of experience handling all types of family law matters in Central Texas, Abraham Kant puts his vast knowledge and experience at the disposal of every client. If you have questions about temporary orders, need to file a request temporary orders for your divorce, or have any other questions about Texas family law, reach out to Mr. Kant, and our firm, today. We can schedule a consultation to let you know what to expect from the process.